Do not miss the chance to study Italian with our evening courses in Florence. 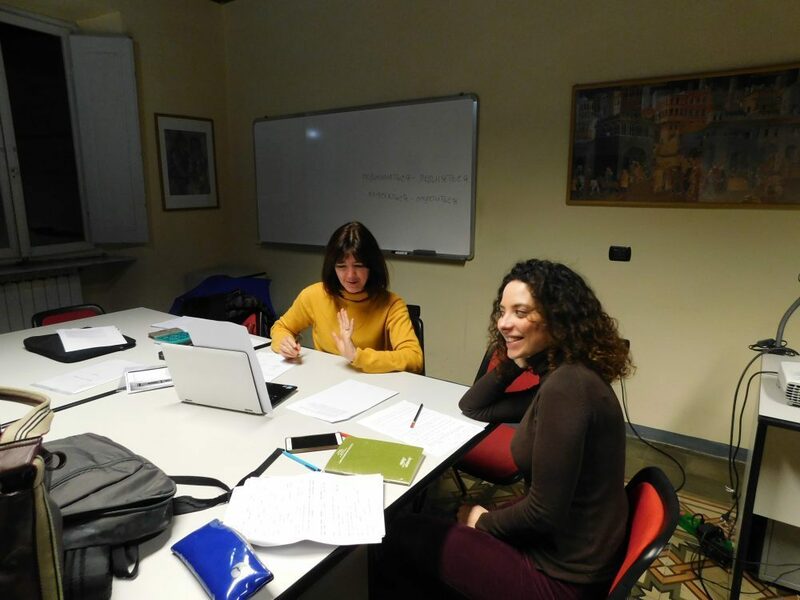 Parola Italian language school in Florence offers an evening Italian language program that consists of individual lessons that can be taken between 3:00 pm up to 8:30 pm. Our evening language courses are held from Monday to Friday at our language school headquarters, located very close to Piazza Santa Croce, in the historic center of Florence. Who Attends The Evening Language Courses at Parola school? Our evening Italian language lessons are directed towards art students, fashion students, or people who work during the day and want to learn Italian in Florence after their daytime commitments. Parola’s evening Italian language courses are particularly good for international students who are studying other fields in Florence and need Italian language training after their other studies. By enrolling in our evening language training, students are taking advantage of an excellent opportunity to learn Italian at a time that is convenient for them. These students receive professional language instruction that is “light” and effective for their stay in Italy. Parola Italian language school is located on Borgo Santa Croce, 4, in Florence, near Piazza Santa Croce. Contact Parola school for further information about our evening Italian language classes in the historic center of Florence. Our Italian language course in the evening consists of 2 language sessions per week, 1 hour per lesson. Teaching hours are determined by the student (as long as it is before 8:00 pm) in order to provide extreme flexibility for language training in the evening. Contact our Italian language school in Florence for further clarification regarding our evening language program and special discounts.